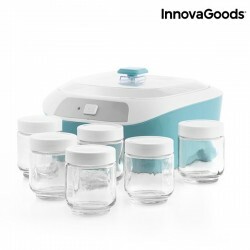 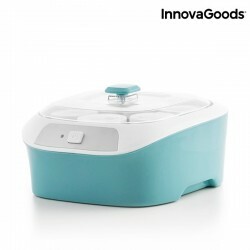 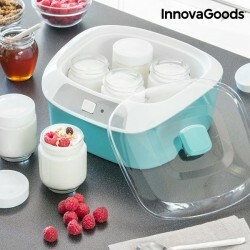 Vintage yogurt machine, white and turquoise, with 6 glass jars. 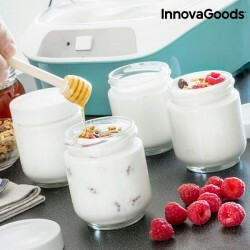 With the original vintage yoghurt maker with 6 jars you can make tasty and healthy homemade yoghurt easily and simply! 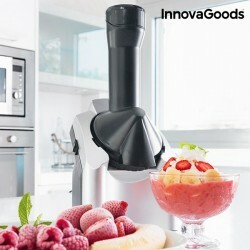 You can add all kinds of ingredients like biscuits, jam and pieces of fruit, etc. 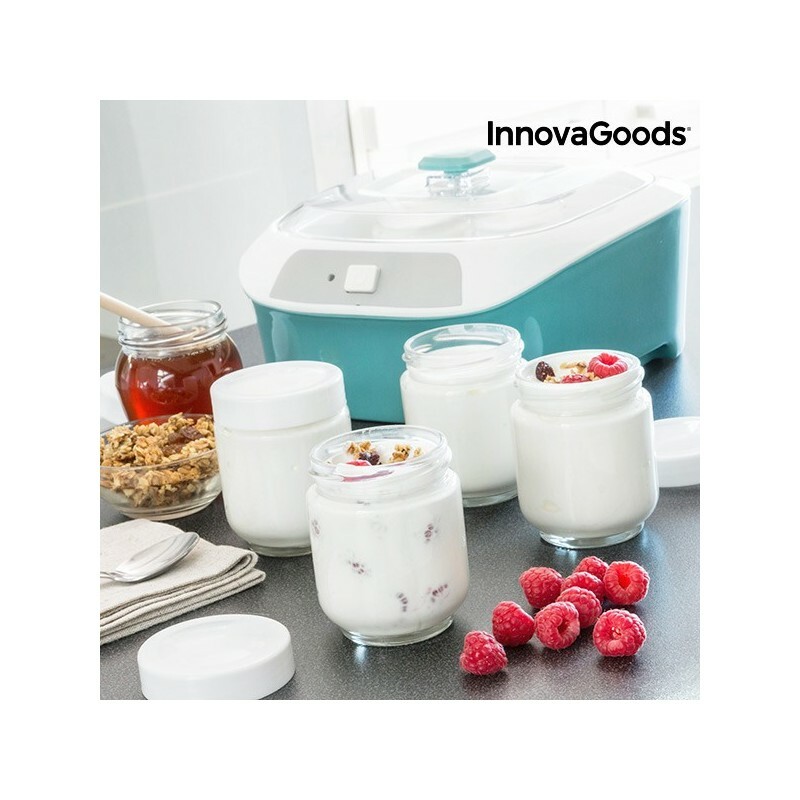 The most healthy way of eating yoghurt just how you like it! 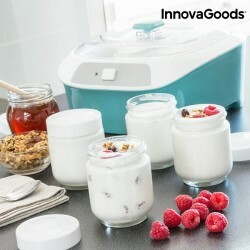 The vintage yogurt machine, is a selection of my local delicatessen for cooking.